One of the first unauthorized Lightning connector cables from China has been tested and torn apart for a closer look at the cheaply made  but still functional  counterfeit accessory. 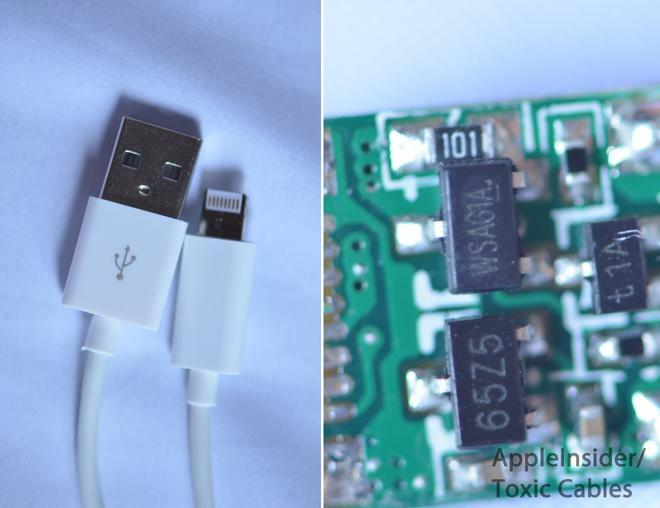 Frank Donghi of Toxic Cables reached out to AppleInsider after he got his hands on a knock-off Lightning to USB cable from China for $3.50. He said the cable works as expected for charging and syncing, though he noted the connection is "very noisy" when used with external music players due to a lack of proper shielding when compared to Apple's official cables. "There is no shielding of any sort," he said. Even after taking one cable apart to look at its integrated chips, Donghi found that the knock-off Lightning connector still works properly, though he characterized the build quality as "extremely poor." He modifies and resells his own fully custom Lightning cables with silver wires. Donghi added that there are 10 different kinds of knock-off Lightning cables and accessories currently being manufactured in China. He said it's possible that some of the other counterfeit cables could be of higher quality, but the one he obtained is very cheaply made. Unauthorized Lightning connectors first began shipping from China last week. They include standard USB sync and charge cables, as well as Lightning to 30-pin adapters. Any cables currently being shipped are not Apple-certified Lightning accessories, meaning Chinese companies have reverse engineered Apple's new Lightning connector to make these products. The company is expected to hold an official "Made for iPhone" conference in early November to discuss the terms of the Lightning connector with third-party accessory manufacturers. 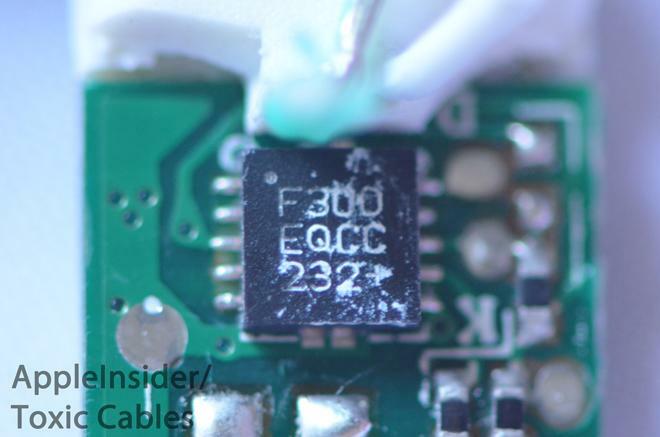 The first signs of unauthorized Lightning cables and adapters surfaced last week, when pictures showed a number of Lightning authentication chips that were said to be in production. 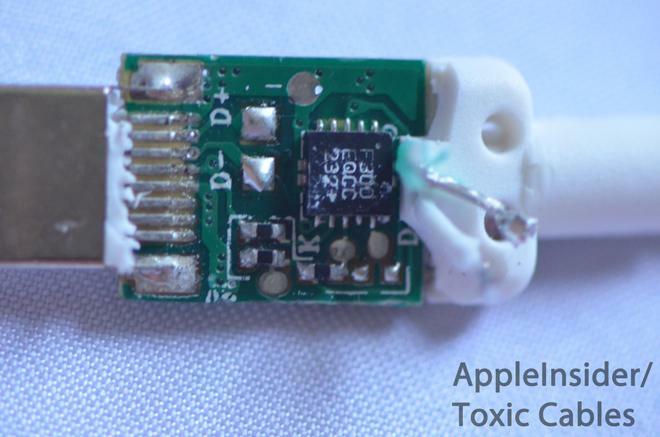 AppleInsider was first to reveal in September that authentication chips were discovered in disassembling Apple's new Lightning connector, which could make it more difficult for unauthorized cables to be manufactured. Apple acted quickly to employ Lightning and replace its 30-pin dock connector on its so-called "iDevices." The port first showed up in the iPhone 5 in September, and debuted this month with the new iPod nano, iPod touch, iPad mini and fourth-generation iPad. The only products sold by Apple with the company's legacy 30-pin connector are the iPad 2 and the iPod classic.